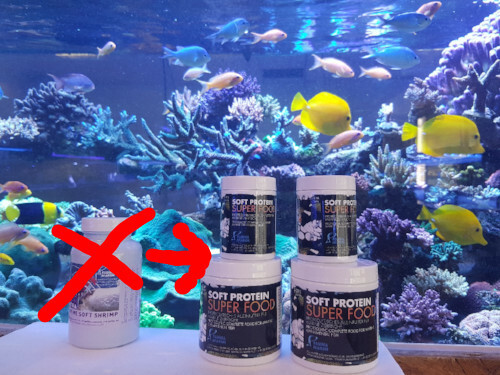 Soft Protein Super Food from Fauna Marin is a new Soft Shrimp based “Super Food” for your fish. Soft Protein Super Food is the first granulated food to include proteolytic properties*. Rich in protein and proteolytic enzymes, it provides your ﬁsh with key nutrition for healthy growth and a strengthened immune system. 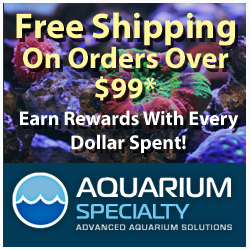 According to Fauna Marin your aquarium will also be supplied with various organic nitrogen compounds through the digestive process of your fish, which will in turn promote coral growth. *Proteolysis is the breakdown of proteins into smaller polypeptides or amino acids. Proteolysis is typically catalyzed (sped up) by cellular enzymes called proteases, but may also occur by intra-molecular digestion. Low pH or high temperatures can also cause non-enzymatic proteolysis. To learn more about this Soft Shrimp based Super Food I reached out to Cristina from Fauna Marin for input on her experience with the previous version of this food. Cristina noticed a marked improvement in fish health and appearance. Within about 4 to 6 weeks of using the Fauna Marin food, Cristina began to notice that the colors in her fish really began to pop. The most noticeable differences she observed were in her Clownfish, Yellow Tang, Swallowtail Angelfish and Yellow bellied Hippo Tang. Before she began using the food, she said the colors were rather dull in her fish and after she began using the food it was very clear to her that the food was improving the appearance of her fish colors. Pricing and availability on this food has not been officially announced in the US but we can’t wait to try out Super Food from Fauna Marin.